As a San Francisco accident law firm, we see the faces of tragedy. Some of the most pained faces we see belong to families mourning the death of a child. We also see parents struggle as they watch their child confront a painful injury with life-altering consequences. The Center for Disease Control (“CDC”) reports that car accidents continue to be the leading cause of child deaths in the U.S. Child car accident cases are heart-wrenching and we are honored to protect the rights of these young victims. In 2009, according to the CDC, 1,314 children (age 15 and under) died while occupying a motor vehicle involved in a crash and approximately 179,000 others suffered injuries. The agency estimates that proper use of car seats and booster seats can cut the risk of fatality or serious injury in half. This risk reduction is even higher for the smallest of victims, with safety seats reducing the risk of infant death or serious injury by 71%. 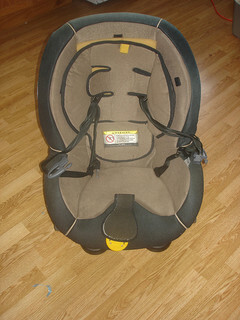 Infants through Age Two – Use rear-facing safety seats, placed in the back seat of the vehicle, until the child reaches the seat’s upper weight limit. Age Two through Four/Children under 40lbs – Use a forward-facing safety seat, placed in the back seat of the vehicle, until the child reaches the seat’s upper weight limit. Age Four through Eight/Children under 4’9″ – Use a booster seat, placed in the back seat of the vehicle, in order to safely position the car’s safety belt. Continue to use the booster until the safety belts fit properly. Lap belts should fit snug across the upper thighs (not stomach) and shoulder belts should fit across the chest (not neck). Age Eight through Thirteen – Use adult safety belts. Continue to seat children in the back seat. California law mandates that children under age eight be placed in a safety seat in the back seat of the vehicle, with an exception allowing children over 4’9″ to use standard adult belts (still in the rear seat). This is more stringent than a prior law that only applied to children aged six and under, but we still recommend adhering to the more detailed and stricter CDC recommendations. Of course, we recommend adults buckle-up as well. An interesting piece of CDC research finds that almost 40% of children riding with an unbelted driver are similarly unrestrained. This is further evidence that children see everything and that they often mimic the behavior of their adult role models. If your child was injured or killed in a motor vehicle accident, we can help. A serious childhood injury can lead to a lifetime of pain, physical struggles, and huge expenses. In our work as a San Francisco and Oakland child injury law firm, we will help you seek monetary damages on behalf of your child to cover a lifetime of medical bills and injury-related costs as well as compensation for the emotional consequences. We also handle cases involving the wrongful death of a child in Northern California. In such cases, we seek damages to pay for financial costs and funeral expenses, plus compensation for the parents’ loss and suffering. Parents may also be able to claim damages reflecting the financial contribution the child would have made to the family in the future. We know that damages don’t bring a child back and can’t heal a major injury. We always respect the emotional side of these cases, giving families the right and the room they need to grieve. As a proud father of three, Attorney Pittman know the immeasurable love of a parent for a child. Our team is small and this allows us to always treat our clients as individuals; we work with people, not case files.